BlueFox Target detects visitors, creates virtual cookies and then provides targeted content on digital screens according to rules specified by brands, retailers or advertisers. What does this mean? Technology that has been used for Google analytics and other online advertising solutions can now be applied in real time in the physical world. Brands, retailers and advertisers alike will be able to influence consumers with information at the point of purchase (Calling all marketers!). Moreover, this is a way for brands, retailers and advertisers who are are challenged with managing omni-channel relationships to enrich omni-channel relationships in-store. 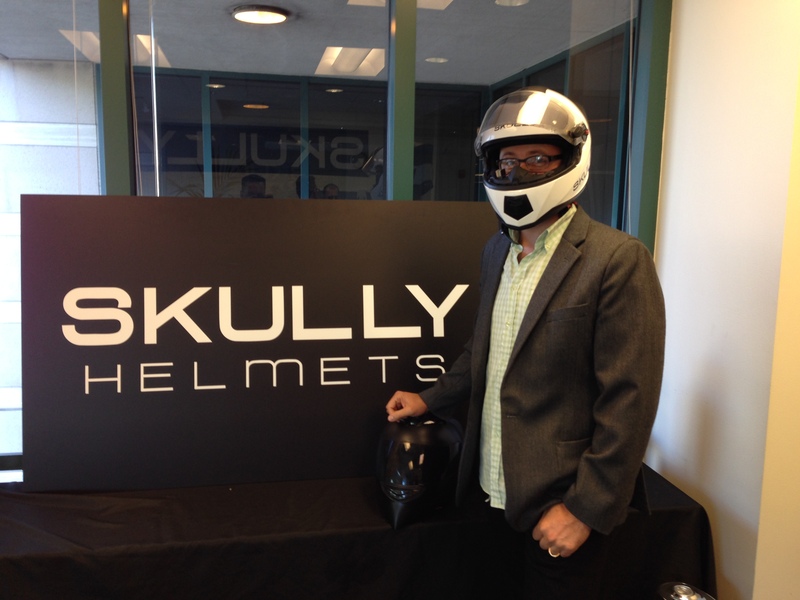 Skully Helmets captured my attention in January at the VLAB Young Entrepreneurs event. That night Marcus Weller, Skully Helmet CEO, told an amazing story about his inspiration for the worlds smartest helmet. Following an accident where he totaled his bike when the car in front of him slammed on its brakes while he was reading a street sign, Weller had a dream where he was reliving the accident. 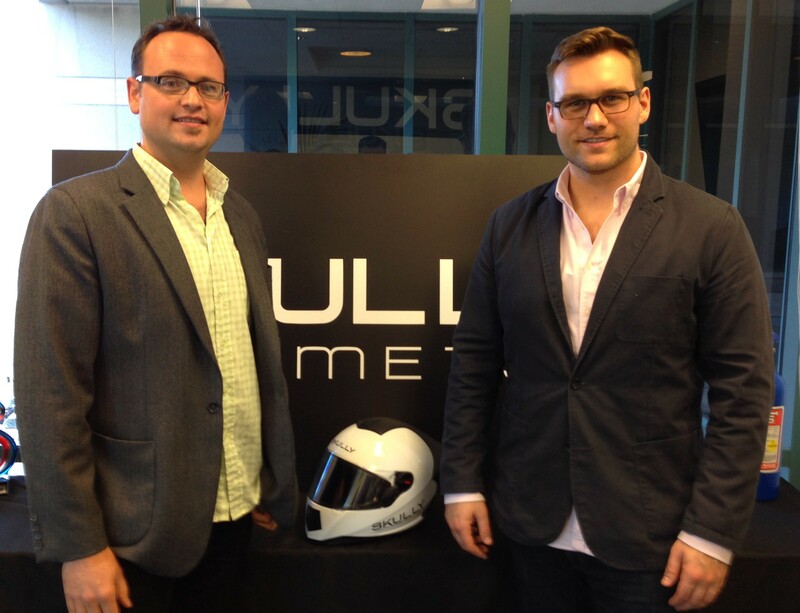 “But I noticed something very different,” Weller said, “I had GPS navigation kind of floating in front of me like a hologram and I watched as the car hit the brakes and I went around it.” When internet searches returned no results for the helmet, Weller built a team and product that, among other features, incorporates location based GPS navigation into a helmet. Location is a form of context. The point of sharing Weller’s story is to introduce context and the final industry watch for the 10th wearable prediction. Prediction # 10: Contextual awareness will be enabled by wearable device adoption and become the next big thing in marketing and customer experience. This is the tenth and final post in a Wearable Industry Watch Series for each of the 10 Wearables Predictions. Visit the Wearable Industry Watch Series for details. Context is about more than targeted marketing based on ambient intelligence; context is also about enriching customer experiences. Customer experiences can be enriched in many ways which means there are applications of context out there yet to be discovered in the world of wearables. Context can also be built in such a way that a device can understand its own context as well as the context of the user. Sensor Platforms, which was recently acquired by Audience, developed FreeMotion™ Library, a software solution that enables sensor enabled device applications to better understand both the contexts and, where possible, the intent of a user engaging with a device. For the purposes of this discussion we can consider smart phones as wearables because of their numerous sensors (and decorative cases people use to make a statement about who they are; see Who to Watch for Prediction #7). FreeMotion™ enabled applications can understand various device contexts such as whether the phone is in a pocket, in a hand or sitting on a flat surface. Similar to other fitness tracking wearables and the Moves App, user contexts can be derived from sensing current motion in the device. Combined with location or other forms of context, the device can respond differently because sitting on the sofa at home is quite a different context from sitting in a train or sitting in a meeting at work. As sensors consume energy, a focus on resource management is also made in order to improve energy consumption on the device (learn more about energy consumption in Who to Watch for Prediction #6). No one is going to wear a car, but the car is becoming contextually aware. Vehicles are now able to detect and communicate with phones and soon will be able to interact with other wearable devices. We can look at contextual aware cars such as Google’s self-driving car, which has to be acutely aware of its own environment, for inspiration on context with wearables. Lane assist technologies and automatic braking such as those demonstrated in this stunt video by Hyundai are becoming available in a number of vehicles. And when it comes to amazing, a return to Weller and the contextually aware smart helmet is in order. People are willing to support contextually aware innovation. Only a few days into an Indiegogo campaign, Weller and his team have exceeded their $250k goal for the AR-1 by an astonishing 466% with over $1.1 million raised. I tested it out at their offices yesterday and it is better than all the hype. This is the last post in the Wearable Industry Watch. For more details click here. This is the third post in a Wearable Industry Watch Series for each of the 10 Wearables Predictions. Follow this blog or Twitter handle @WorkTechWork to be notified of each part of the series. To view all predictions and links to the other parts of the series, visit the Wearable Industry Watch Series. Prediction #3: Companies that combine the information of multiple sensors in multiple wearable devices will create more value for their consumers than producers of single wearable devices. It goes without saying that part of the reason for the platform announcements covered in Who to Watch for Prediction #2 is that these companies are motivated to create these platforms because there is greater value created if multiple devices integrate. Machine to Machine (M2M) communication generates value because humans don’t have to be involved in passing information from one machine to another, something we used to do by hand, which was error prone, or with tapes and floppy disks, which was time consuming. With wearable devices, the additional value that results combining wearable device information is what I call Wearable Alpha. 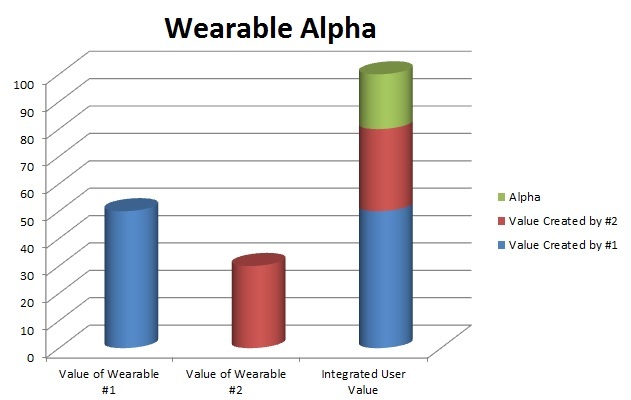 Wearable Alpha results when two wearables create more value for a user when integrated than when unintegrated. Additional Wearable Alpha is created if the two wearable devices are also integrated with other IoT devices and services. While players in the wearable space, as well as the greater Internet of Things, should execute focused strategies leveraging their strengths to develop technology, players should not forget that integrated solutions will create more value than unintegrated solutions. Moreover, players should build business models that extract part of the Wearable Alpha to generate returns for shareholders and investors. Wearable devices are still nascent technologies, with years to go before the market is fully mature. We do not know today which wearable device solutions will be on the market in one year and new wearable solutions are coming out all the time. With so much change it is hard to find companies working to gather data from two separate wearable devices, let alone communicate between them. Sensoria: People don’t usually wear more than one watch, but people do wear more than one article of clothing so some low hanging fruit in the multiple wearable space is smart clothing for fitness tracking. Sensoria Fitness Socks provide the most accuracy of any step counting wearable to also count altitude changes, distance and, more importantly for the expert runners, cadence, foot landing technique and weight distribution on the foot. Sensoria also produces a sports bra and a tshirt for heart rate monitoring. With smart socks and a heart rate monitor, an athlete is on the way to reaping the benefits of Wearable Alpha. ThisPlace: ThisPlace created a software solution called MindRDR that combines the NeuroSky EEG brainwave sensor with Google Glass to control photo taking and sharing. In other words, you can take a picture and post it online just by thinking. Today there are only a few people who will benefit from the Wearable Alpha generated by this particular wearable to wearable integration scenario; however, this opens a whole plethora of opportunities for mind controlling IoT devices. Sensum: Sensum provides a platform that integrates data streams from multiple wearable devices and health sensors to analyze the emotional response to events. This generates tremendous amounts of Wearable Alpha when analyzing marketing and other forms of digital media because now, instead of just watching responses through tinted windows and asking questions, observers can capture an accurate reading of emotional response. Do you integrate sensor information from multiple wearable devices? If so, tell me about it in the comments below or reach out here and lets meet up and chat about your technology. There are many solutions that connect a wearable device to the smart phone. The smart phone itself is becoming in some instances a hub with wearable devices connected to it and in other instances a stepping stone from wearable to cloud. Smart phones are being built with more and more sensors, some of the same sensors built into wearable devices. As mentioned in Who to Watch for Prediction #1, smart phones can run apps such as the Moves App and gather information from these sensors. For the “multiple sensors in multiple devices” portion of this prediction to be fulfilled with a smart phone integration, information generated from smart phone sensors must be used and result in Wearable Alpha. As of this posting, I have not found a company doing this. Do you integrate information from both wearable device and a smart phone sensors? Every CMO of every organization needs to understand context and how to leverage it to benefit their customers and their balance sheet. Context goes far beyond location and Robert Scoble did an excellent job of providing real examples of value derived from situations I will call contextual marketing in his keynote at AWE 2014. Both Dewy Decimal-esque 3×5 card customer tracking in the old days and technology enabled contextual understanding of customers today help marketers deliver the right the right message to the right person at the right time brings the greatest value to both the buyer and the seller of goods or services, a point I make here regarding ContextM and ProxToMe. Of course all of this ties in to my mantra “Don’t work for technology; make technology work for you.” because marketers who use technologies that leverage context to deliver the most value to their customers are certainly putting technology to work for the marketing dollars under their jurisdiction. I love sitting down with entrepreneurs in Silicon Valley and hearing what they are up to. The conversations usually goes well beyond what is on their website because they’re either in ‘stealth mode’ or too busy changing the world to worry about keeping a website 100% up to date. Their determination to change the word with technology doing new and amazing things for you is absolutely exciting. Carlo Capello, CEO of ProxToMe is no exception. I met Carlo at Silicon Valley’s 2014 Italian Innovation Day and have had the opportunity to chat with him about a wide range of topics as well as to see him pitch (his was one of the 55 Plug and Play pitches I write about here). Carlo has positioned ProxToMe as a Proximity-as-a-Service solution for proximity based interaction. What that means to B2C and even B2B CMOs is that using ProxToMe’s patented technology, businesses with mobile apps can first recognize and then share content with customers based on proximity to Bluetooth Low Energy (BLTE) beacons. Carlo and his team began working with BTLE before Apple’s iBeacon move. Now that essentially every iPhone is a beacon, ProxToMe’s solution and expertise in this domain mean amazing things for their customers. “We do for offline businesses what Amazon does online. We let our clients learn more about their customers shopping habits and provide a new direct channel to influence what they buy,” Carlo says. ProxToMe provides brands and retailers a full hardware and software solution comprised of Bluetooth tags and a mobile SDK (software development kit for my marketing friends). This way the brand maintains control of the in-app experience and can leverage all of the insight they may have with respect to a particular customer at the point in time they approach a beacon. Ben Davis from Econsultancy makes the point, “Retail apps still have their place in a mobile optimized world, but they’re increasingly characterized as devices for customer retention.” ProxToMe helps avoid that characterization by generating customer involvement based on location, a form of context. With contextually intelligent systems such as those offered by ContextM, the ProxToMe solution becomes even more powerful because it brings the ability to not only send messages to customers in the store but to send the right message in store, a message that will increase wallet share and improve customer retention and engagement. Brands provide luxurious retail experiences, experiences unique to the brand, experience that are the brand. While brands have managed to own the in store experience, the brand experience is not replicated online. Each website only gives you more of the same inconvenient browsing and shopping carts. 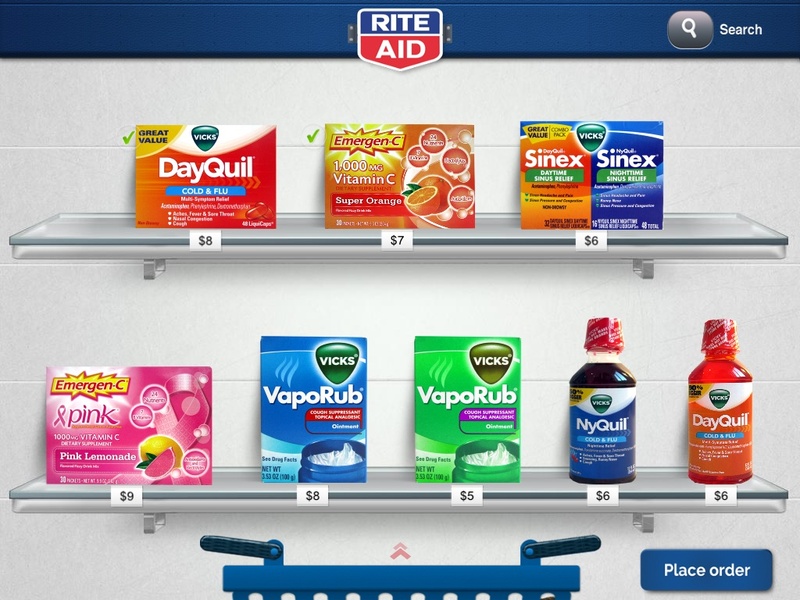 The virtual browsing and carts do not mirror the in-store brand experience. 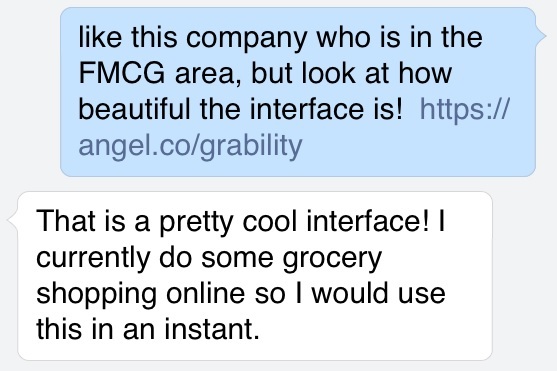 Granted, some online brand experiences are better than others. Burberry successfully created one of the best online brand experiences out there today. They have great pictures and a sleek website. Their models actually are wearing the clothing as opposed to it being photo-shopped on. The Burberry site learns what you are interested in and after a short data collection period it is obvious their system harnesses the power of analytics turning data into insight in the form of relevant product suggestions. Moreover, the Burberry ADD TO BAG button uses the word bag and not the word cart, making it obvious the brand manager focuses on the experience. BUT it is still the same click to add to a virtual shopping cart mentality. You do not get the same experience as in the store, where hands are involved as a product is touched, examined and then purchased. It does not matter the type of store; online shopping is not the same as in-store shopping. No online shopper will want anything but the ease and simplicity of shopping with their fingertips ever again. The Grability retail experience pales all existing solutions by magnitudes and is the perfect example of technology working for you to make life simpler. Retailers who fail to provide experiences like Grability’s patented technology will be left behind. 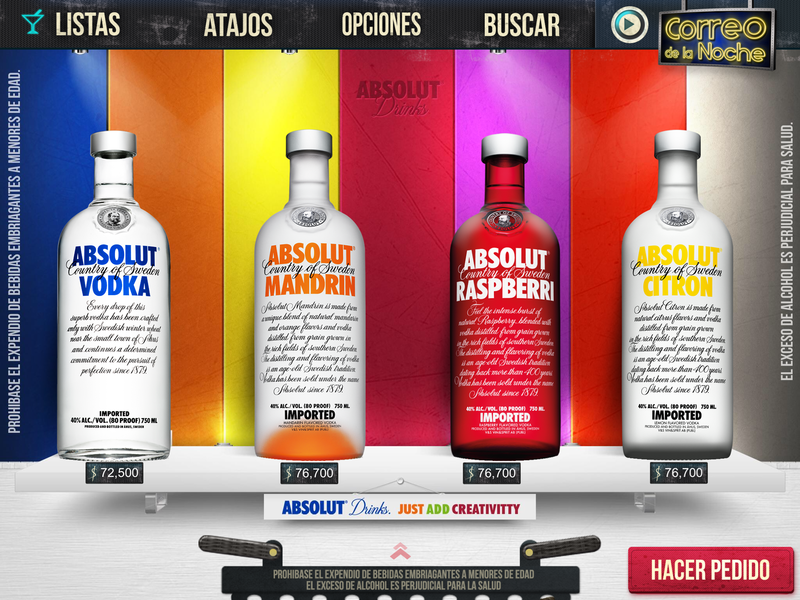 Marketers who see this solution know it is the perfect setup for A/B testing. But something is more important: Virtual shelf space will become more valuable than the most expensive physical shelf space in any retail store. The world of brand management in every retail space just changed. With high quality data, Grability enables further segmentation and new niches can be found. The real power of the Grability solution is that brands can now pay for placement within the online shopping environment exactly the same way they pay for placement in store. With insight from Grability into every individual placement, the value of those placements just went way up. For decades retailers have only been able to analyze a basket of goods after that basket is filled. Now they have the ability to see exactly how people shop. 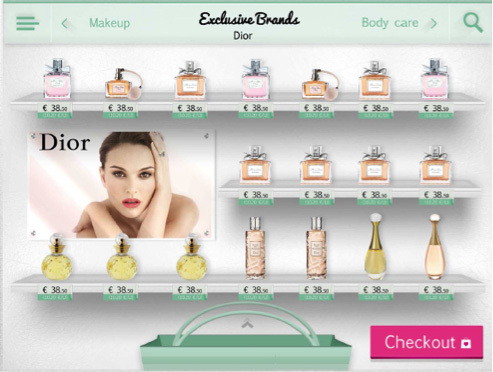 With the insight gained, they can provide a virtual store designed for the individual that is so personal there is no reason to shop in any other way or in any other place. In the coming decade customers will be disinterested when they are not presented with what they want and completely turned off when the experience is not easy, simple and beautiful. “Grability is not stopping with food,” Mejia told me. “Grability will spread to every product, especially the products of luxury retailers who wish to optimize the best mobile experience and enable brands to leverage their brand equity in the online world.” His team is able to produce some very convincing sample solutions with high end brands such as Clinique, Dior, Jimmy Choo, and Valentino as well as samples for retailers like Walgreens and Rite Aid. In every case, the gentle swipe of a finger guides the product to your cart, bag or scale. 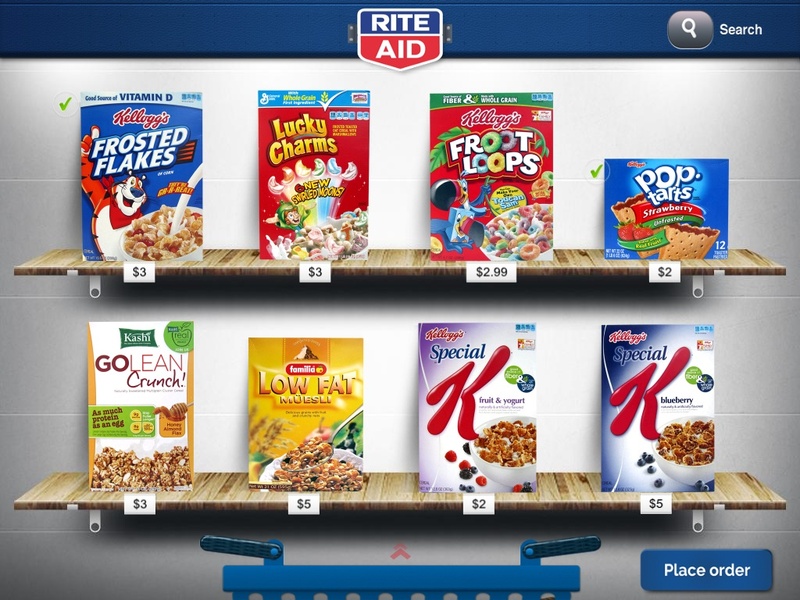 These interfaces represent effortless mobile shopping that mirrors the real experience in such an innovative way it is actually a better experience than shopping in the store. Shopping is no longer about the retailer getting a consumer into their experience; retailers must now bring their experience to the consumer wherever they are in the world with whatever device they are using. In online markets, brand promiscuity is only a click away. When your branded experience is in the pockets of everyone in the world and it feels as natural as the Grability solution, the chances of brand abandonment go down. Grability’s superb report card includes reducing cart abandonment by 70% over other solutions offered by the same retailer. They rightfully earned a place among the winners of the Intel Challenge and were selected as one of the top 25 finalists to compete in the global challenge in Silicon Valley last fall. It comes as no surprise that Grability has been profitable since delivering their first product. They’ve also built their product with no outside investment, no seed, no A round (at least not yet and Mejia declined to comment). Investors and brand managers can only imagine what some well managed capital will do inside this company that puts technology to work for you. Technology is creating completely new opportunities. Take social media, for example. Just a few years back, it would have been extremely difficult to carry on an intelligent conversation regarding social media marketing in a business context. Now, however, even the not-so-internet-inclined business leaders understand the driving need for social media marketing, even if they do not understand how to do it or where to turn for guidance. Social media marketers need to understand whether or not their efforts are generating the desired results. Managing social media is a challenge, using it to market, for those who studied marketing based on research that has collected dust for years, is nearly impossible without insight into what is really going on. The internet, in case you haven’t noticed, is so vast that it is difficult to understand what happens in the various social media channels and new channels are opening up all the time. Enter the technology enabled entrepreneur. I had the opportunity to chat with Jan Zając, CEO of Sotrender about technology enabled social media marketing solutions, the key offering of Sotrender. He explained that Sotrender makes it easy to analyze social media campaigns by providing time saving reporting and a one stop social media dashboard with activities from your social media channels. Marketers can then turn data into insight to drive future social media activities. This is an interesting value proposition to marketers who must now up the priority of effective social media management on their To Do list. Jan makes it clear that his solution is optimal, “What takes them hours to do manually can now be done in minutes.” This sounds like technology working for you. Entrepreneurs dream of making it big. They have big ideas, big plans for taking over or creating their own niche in the world; some of them make it and some do not. Nir Ayal has taken a look into human behavior to find out why some technology products are more successful than others. I had the opportunity to hear him speak about his new book “Hooked: How to Build Habit-Forming Products” at the most recent ZURB Soapbox. Nir reaffirmed my belief that technology will change the future but he did it with valuable insight into habits. Having worked as a project manager with countless technology tool implementations, I understand resistance to change and have wondered, as he has, “Why aren’t users doing the thing I want them to?” Nir’s answer is based in habits. He gave several examples and from a skim of his book it appears to be full of more. I will mention one example here. Google vs Bing. He said that in blind tests people cannot tell the difference between search results from Google and Bing. Yet, even though the results are the same, a quick showing of hands in the room indicated we had all formed the habit of searching via Google. Not only is Google now a verb, it is a habit. Part of what makes habits so interesting is that humans are creatures of habit. We find a successful pattern and repeat. In the world of marketing, finding the right consumer-oriented message that creates revenue-generating repeat behavior is the ultimate objective. Marketers strive to change human behavior and the most successful changes are ones associated with habits (although with the negative connotation of the word habit this is usually termed something else like repeat purchasing). For those out there afraid of being marketed into habits they don’t desire, there is good news: any habit can change and any bad habit can be replaced with a good habit and any good habit can be replaced by a better habit. I look forward to experiencing habit forming technologies that make life easier; I’m hooked on technology.